Stacey Fraser, soprano and founding director of the lotusflower new music project has performed on international operatic, concert and theatre stages across the United States, Canada, Asia and Europe. She has appeared as a soloist for the San Diego Opera, the Tony Award winning La Jolla Playhouse, the Kennedy Center in Washington D.C., Taipei National Concert Hall in Taiwan, ISCM Taiwan, the Musicasa Concert Hall in Tokyo, Japan, the Thailand Composition Festival, the Americké Jaro Festival in Prednasek, Czech Republic, Red Square Gallery in Hong Kong, the Festival Eduardo Mata in Oaxaca, Mexico, Vancouver Symphony, South Dakota Symphony, La Jolla Symphony, San Bernardino Symphony, Banff Centre, Tanglewood Music Center, Asia Society NYC, Alice Tully Hall at Lincoln Center and the world renowned La MaMa Experimental Theatre in New York City. She has received critical acclaim from international papers such as The New York Times, the San Diego Union Tribune, Oltner Tagblatt of Olten, Switzerland and the Press Enterprise of the Inland Empire for her performances in both standard and contemporary repertoire. Her performance of Seven Songs from the Unknown Kurt Weill was described by the San Diego Union Tribune as “marvelously edgy” and “showed delicious physicality and intelligent restraint”. Publications include an article entitled “Confluences of Vocal Techniques in Koji Nakano’s Time Song II” as part of the book Music of Japan Today for Cambridge Scholar Press. Ms. Fraser can be heard in the role of Lisinga on the premiere recording of Manuel del Pópulo Vicente Garcia’s opera Le Cinesi for Harmonicorde Recordings and on the new release Lotusblume for the Viennese independent label, ein Klang records. Other feature recordings include Webern’s Opus 18 on the University of California San Diego Sound Check series. She holds a Doctorate in Musical Arts from University of California, San Diego, Master of Music from Manhattan School of Music, and a Bachelor of Music in Performance from the University of Toronto. Koji Nakano, Resident Composer was born in Japan and educated in Boston, The Hague, and San Diego. Mr. Nakano has been recognized as one of the major voices among Asian composers of his generation. His work strives to merge Western and Eastern musical traditions, and reflects the relationship between beauty, form and imperfection through the formality of music. Mr. Nakano received his Bachelor's Degree in composition with distinction, and Master's Degree in composition with academic honors and distinction, Pi Kappa Lambda, from the New England Conservatory of Music in Boston, where he studied with Lee Hyla and John Harbison. Later, he studied with Dutch composer Louis Andriessen in Amsterdam and at the Royal Conservatory of Hague as the Japanese Government Overseas Study Program Artist. Mr. Nakano received his Ph.D. in composition from the University of California at San Diego, where he studied with Chinary Ung. In addition to being the recipient of The American Artists and Museum Professionals in Asia Fellowship from the Asian Cultural Council, Mr. Nakano is also The first recipient of the Toru Takemitsu Award in Composition from the Japan Society of Boston awarded annually to the most talented young composer in the Boston area. In 2008, he became the first composer to receive the S&R Washington Award Grand Prize from the S&R Foundation, which is awarded annually to the most talented young artist (in the fields of fine arts, music, drama, dance, photography and film), for his/her contributions to U.S.- Japanese relations. The past distinguished grand prize awardees include soprano Maki Mori (2000), pianist Yu Kosuge (2002), violinists Yosuke Kawasaki (2004), Sayaka Shoji (2006), and Tamaki Kawakubo (2007).As a guide to his musical compositions, Dr. Stacey Fraser, Associate Professor of Music at the California State University at San Bernardino, has written a paper entitled, Confluence of Musical Cultures in Time Song II, in which she examined the incorporation of a variety of Japanese vocal and instrumental techniques into western musical languages. There was also an essay version of the paper, which was published by Cambridge Scholars Publishing in the UK as part of a book centered on the proceedings of the Music of Japan TodaySymposium. Mr. Nakano is a member of ASCAP and served as a Fellow Council member of the Virginia Center for the Creative Arts from 2008-2012. 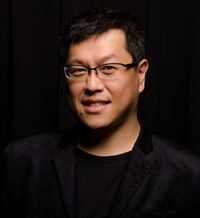 As the co-founder of TheAsian Young Musicians' Connection, he commissions compositions from emerging Asian composers alongside worldwide professional musicians for its regular concert in Asia and North America. Mr. Nakano was a Visiting Professor at Taipei National University of the Arts in Taiwan (2011-2013) and is a full-time faculty member in composition at Burapha University in Thailand. Pianist Jocelyn Hua-Chen Chang came to the United States after making her piano concerto debut in the National Concert Hall in Taiwan, winning an array of awards and having her performances broadcast nationally. As a passionate chamber musician, Jocelyn has collaborated with musicians and faculty artists of the Los Angeles Philharmonic, the Los Angeles Opera Orchestra, the Pacific Symphony Orchestra, the Long Beach Symphony Orchestra, the Pasadena Symphony Orchestra, the National Symphony Orchestra (Taiwan), UCLA Herb Alpert School of Music, and the USC Thornton School of Music. One of her recent engagements also included a concert tour with Grawemeyer award winning composer Chinary Ung and Canadian Soprano Stacey Fraser. Her accolades and top prizes include the Taiwan National Piano Competition, the SinoPac Young Artist Piano Competition, the Taipei Piano Competition, the National Taiwan Normal University Piano Concerto Competition, the Taiwan Pace Young Musician Awards, the Taiwan National Chamber Music Competition, the Taipei Double Bass Competition, and the Taiwan National Double Bass Competition. She has also garnered numerous awards and scholarships including the USC Thornton School of Music Dean's Full Scholarship, USC Thornton School of Music Graduate Teaching Assistantship, Gabriel Mekler Memorial Endowed Music Scholarship, USC Thornton Board of Advisors Mentorship Program, the Claire and Allan Jensen Endowed Scholarship, Peabody Conservatory Scholarship, KAWAI Music Scholarship, and the National Taiwan 228 Memorial Scholarship. Additionally, she was inducted into the Pi Kappa Lambda National Music Honors Society. Jocelyn holds a Doctor of Musical Arts degree with Distinction from the University of Southern California Thornton School of Music, where she majored in Piano Performance with concentrations in Keyboard Collaborative Arts, Double Bass Performance, and Music Education. She received her Master of Music degree in Piano Performance from the Peabody Conservatory of Johns Hopkins University; and a Bachelor of Fine Arts degree from the National Taiwan Normal University, where she majored in Piano Performance with a minor in Double Bass Performance. Chang was enrolled in Taiwan’s prestigious government program for musically gifted young musicians. Additionally, she has also studied at the Belarusian State Academy of Music in Minsk, Belarus. Through her academic journey, she was under the tutelage of renowned piano pedagogue Daniel Pollack, Stewart Gordon, Boris Slutsky, Kevin Fitz-Gerald, and Zoia Kocharskaya. Dr. Chang, CEO of the International Distinguished Performing Arts Foundation and Executive Director of the Distinguished Artists Series, currently holds the faculty position and serves as Director of Keyboard Studies as well as Faculty Advisor of the Piano Society at California State University, San Bernardino. She is also on the piano faculty at Pasadena City College. ChoEun Lee, a native of Korea is an active pianist, vocal coach, and chamber musician. She has given numerous performances in Korea, the United States, Austria, Italy, Australia, and New Zealand, in major venues including Carnegie Hall in NY City, Ozawa Hall in Tanglewood Music Center and Harris Concert Hall in Aspen Music Festival. She has worked extensively in recitals and masterclasses with renowned musicians, including Stephanie Blythe, Martin Katz, Anne Sofie von Otter, Christine Schäfer, Dawn Upshaw, Jake Heggie, and Linda Watson. She was a pianist in Opera gala concerts in Opera Theatre and Music Festival of Lucca, Italy. She was twice invited to Tanglewood Music Festival and has been named as a recipient of the Grace B. Jackson Prize. One of her performances in Seiji Ozawa Hall was broadcasted on WAMC. She was also invited Emerging Artist Fellowship Program in Fall Island Vocal Arts Seminar in Potsdam (NY). Since summer of 2016, she joined American Institute of Musical Studies (AIMS) in Graz, Austria as a repetitor and she will be returning to the festival this summer in 2018. She is passionate about discovering and performing contemporary classical music and vocal chamber music. She has premiered various works and has worked with many living composers, including John Harbison, Michael Gandolfi, Jake Heggie, Thomas Pasatieri, John Plant and Chinary Ung. Recently she has co-commissioned a vocal chamber music for soprano, saxophone, and piano by Lori Laitman. ChoEun Lee holds a B.M. from Kyungwon University, a M.M. from the University of Cincinnati and earned her doctoral degree at the University of Southern California. She is a member of Pi Kappa Lambda, the national music honor society, and a recipient of the Gwendolyn Koldofsky Keyboard Collaborative Arts scholarship four times. Previously she has taught at California StateUniversity, San Bernardino and served as a vice-president of CAPMT Riverside-San Bernardino Chapter. Recently she appeared as a guest panel at CollabFest @ USC. ChoEun Lee is currently teaching at Lee University (Cleveland, TN) as an assistant professor in collaborative piano and vocal coaching. Thachuk has an international reputation as a teacher and pedagogue of the instrument. He is much in demand for masterclasses at universities, conservatories, and major guitar festivals throughout North America and Europe. In 2002, Steve Thachuk was appointed as Professor of Guitar and Chair of Guitar Studies at California State University, Northridge. Previously, he has served on the faculties of the University of Toronto, the Glenn Gould Professional School at the Royal Conservatory of Music and Queen’s University. Thachuk serves on juries for many major international guitar competitions. Steven Thachuk pursued his undergraduate degree at the University of Toronto, and continued his studies at the Eastman School of Music in Rochester, New York, where he completed his doctoral degree. Thachuk is a member of the Meyer/Thachuk Guitar Duo and also performs with flutist Sarah Wass. Recent highlights of his performance career include solo appearances with the Erie Chamber orchestra, Niagara Symphony Pacific Symphony, Surrey Mozart Players, ProArte Chamber Orchestra Colorado, Fort Wayne Philharmonic, and the Toronto Philharmonia. Thachuk has released two CDs, Evocacion, with the Meyer/Thachuk Guitar Duo, and Currents, a solo recital CD of 20thcentury guitar works. Steven Thachuk is a BMI composer and lives in Los Angeles.